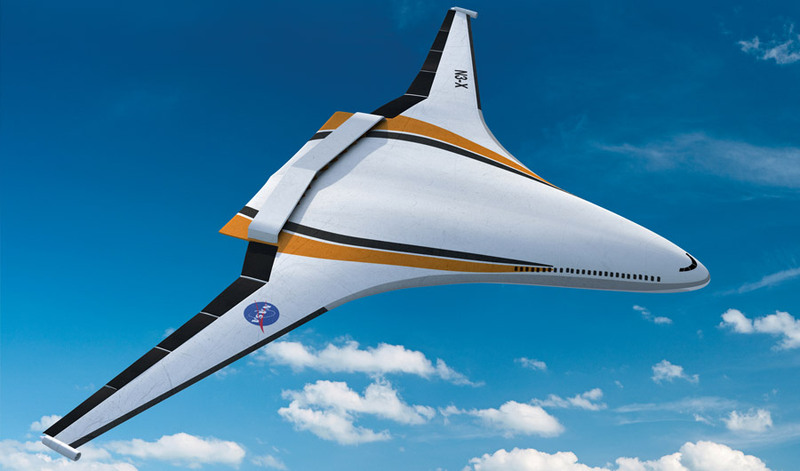 An artist rendition for N3-X, a concept hybrid aircraft that propels using electric motors powered by a gas turbine generator. (Inside Science) -- Last November, Elon Musk launched Tesla Semi -- an ambitious goal to put electric 18-wheelers on the road in the next few years. How likely is the venture to succeed? One of the biggest challenges for building long-haul electric trucks is optimizing the balance between how far trucks can go on a single battery charge and the maximum amount of cargo they can carry. Heavier battery packs will take you farther, but they will eat into the truck’s maximum payload, said Venkat Viswanathan. An engineer from Carnegie Mellon University in Pittsburgh and an expert on battery-operated vehicles, Viswanathan spoke about their feasibility during a presentation this week at the American Physical Society March Meeting in Los Angeles. According to Viswanathan’s own analysis published last year, the practical range for such a truck is around 500 to 600 miles, or about half of the range of an average diesel truck. Musk’s plan to produce electric semis with a 300 to 500-mile range fits in this ballpark. However, future batteries with a higher energy density -- meaning they could store more energy per weight -- could increase that range dramatically. A battery's energy density is an especially important consideration if electric vehicles take to the air. The energy density of today’s lithium ion batteries is only about one-tenth that of jet fuel’s, which means that instead of flying from New York City to Hong Kong with a single tank of gas, a Boeing 787 running on batteries might not even make it past Chicago. However, not all hope is lost. According to Viswanathan, an electric plane offers many opportunities for engineers to close that gap, such as through more efficient motors and plane designs that are only possible for an electric model. Scientists are also trying to figure out how to increase the energy density of batteries used for future electric planes. One promising candidate known as a lithium-air battery -- a kind of battery that uses the oxidation of lithium for its discharging cycle -- can theoretically hold almost as much energy as jet fuel. Viswanathan argues that lithium-air batteries would be perfect for an electric plane since most aircraft already have the oxygen system onboard that they would need to operate.